EuroCave, world leader in wine service, preservation, display and storage equipment since 1976, has drawn on its expertise to create an outstanding cigar humidor. Benefitting from the technical expertise of our specialists and our relentless determination to create superior quality, beautiful products, EuroCave cigar humidors provide an outstanding cigar storage and preservation solution for cigar connoisseurs. Precise temperature and humidity levels inside the EuroCave cigar humidor provide the perfect environment for preserving and protecting your cigars, ensuring maximum enjoyment of your cigars for you and your guests. 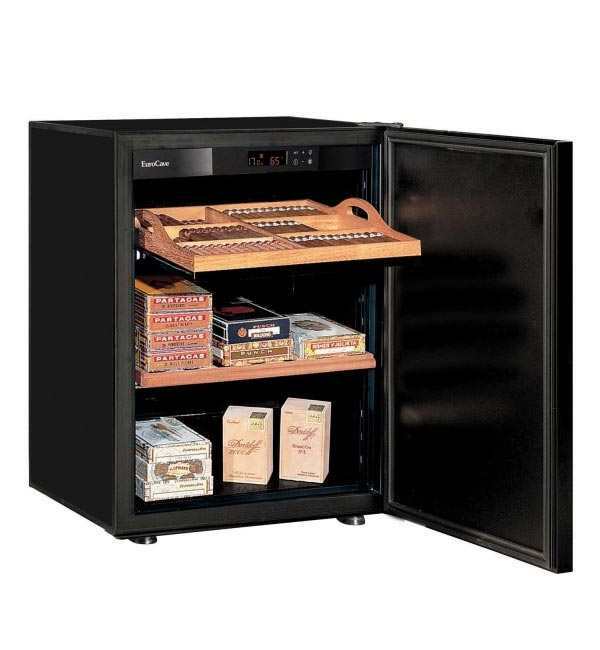 The EuroCave cigar humidor is adaptable to meet your specific requirements. Cigars beautifully displayed using storage drawers and display drawers.